"i adored you from the day i met you when i was nineteen and i always will." 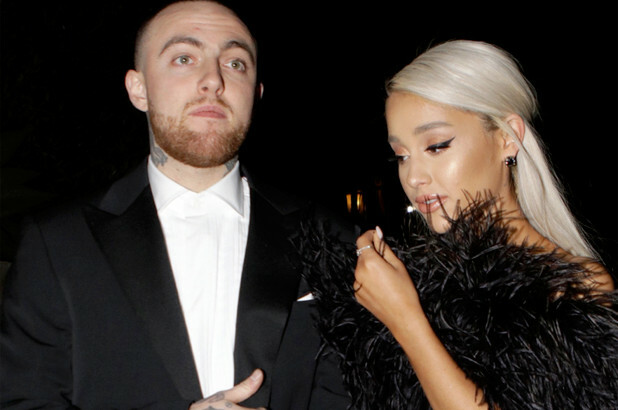 Mac Miller’s tragic death from a drug overdose shook the world of entertainment last month. Many gave their love to the family and to the star, from the likes of Chance the Rapper to Childish Gambino who remembered the rapper for his beauty, his kindness, and for the tragedy of his death. One voice fans wanted to see, rather rudely, was that of Ariana Grande, the ex girlfriend of the rapper. Some more toxic fans even went as far as to blame her for his death, although I have to make clear that is absolutely not the case. Ariana Grande’s statement is beautiful and honest. She speaks from the heart, directly to Miller, and apologizes for not doing more, as if there is anything concrete anyone can do when faced with an illness as devastating as drug addition. her pain is felt, and it speaks to the pain of anyone who has had to endure the grief of such a tragedy. For more stories like these, please follow us on Twitter at @WhatsTrending. VIDEO: Why The Heck Did NRATV Put Thomas The Tank Engine In A KLAN HOOD?